Penang is a city suffused with the scintillating aromas and flavours of Persian royalty, Chinese explorers, Portuguese merchants and Malay empires. The city is home to a culturally diverse population of about 1.9 million and is considered the food capital of Malaysia. Attractions include Kek Lok Si, Georgetown, Penang National Park and Cheong Fatt Tze Mansion. 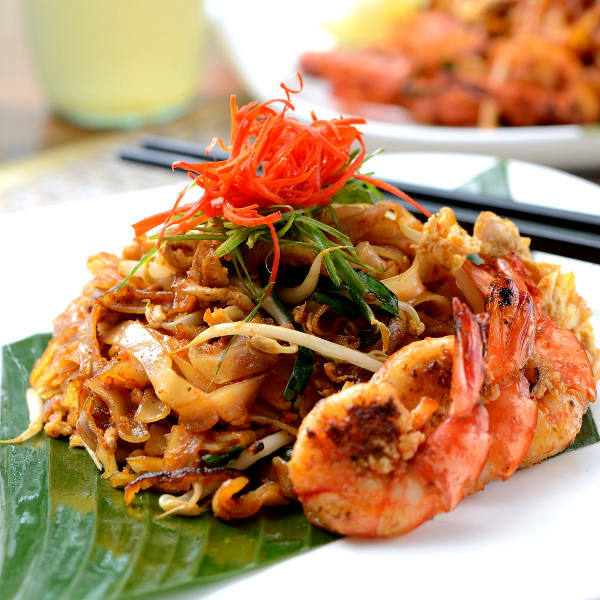 Prepare your palate for a titillating journey into this food paradise with cheap flights to Penang. The city of Penang is home to Penang International Airport (PEN), which is a 30 minute drive from the city centre. From the fantasy food scene of Kimberley Street and experimental creations of Mews Café in George Town, to the flawless haute cuisine of Kebaya Dining Room, Penang is a culinary utopia. Fawn over the grandiose carvings of Kek Lok Si Temple, smash some coconuts at a Thaipusam Festival, or discover exotic herbs and aromatic spice plants at a tropical spice garden. Venture away from the intoxicating thrum of the city and you will discover surreal coastlines where turquoise water and velveteen shores fringed with palm trees meet for a sultry rendezvous. Penang experiences a tropical climate, with temperatures ranging from 24 degrees Celsius in winter to 32 degrees Celsius in summer. There are two distinct seasons: wet and dry. Dry season spans December to March. Although the weather is generally hot and humid throughout the year, the dry season is particularly balmy. The streets become electric over Christmas and New Year as the city becomes a hot bed of festive revelry. May to October is the wet season. During these months’ hotels drop their rates, fewer tourists crowd the city and flights to Penang are cheaper. A number of sensational events happen throughout the year. The most notable of these include: George Town Festival, Penang Hot Air Balloon Fiesta, Bon Odori Festival, Nine Emperor God Festival and Penang International Dragon Boat Race. Before its discovery by Portuguese seafarers in the 16th century, Penang acted as an anchorage for Arabian, Chinese, European and Indian ships during the monsoon season. The island was also home to a small population of Malay fishermen. Today, the city is a scintillating patchwork of exotic natural beauty, effervescent jamborees and sacred temples. It is a city that whispers of sultans, pepper plantations, risqué cabarets and madcap pirates. It is also, most notably, a food paradise. Walk through the streets of Penang and the delectable scent of garlic and lime will tug at your sleeves and palate. Venture deeper into the heart of Asia’s street food capital and delicacies such as assam laksa and mee goreng will lure you in with their aromatic tendrils. Journey to Penang and you will discover a cultural utopia seeped in historical significance and united in its diversity. 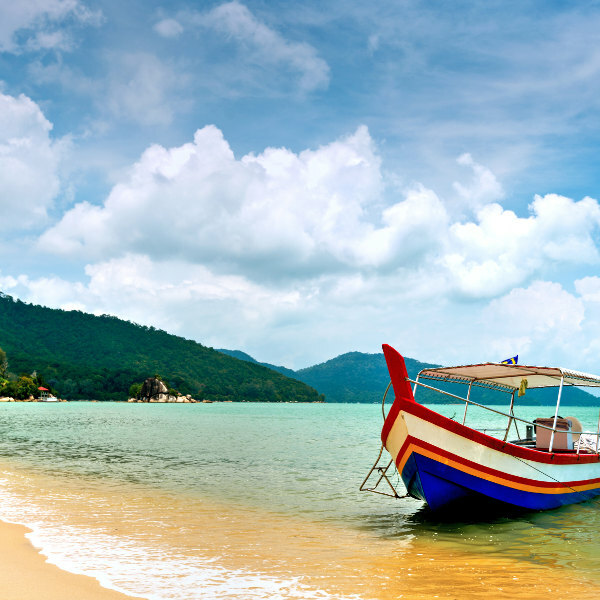 Compare several airlines, and book your cheap flights to Penang online with Travelstart! Penang is considered safe. However, certain precautions can be followed to ensure you make the most of this fascinating city. Travel insurance to cover theft and medical expenses is highly recommended. Be wary of pick-pocketing and bag snatching, and avoid flashy displays of wealth and carrying around valuable items. Be vigilant in bars and clubs. Exercise caution when travelling around alone at night, and only make use of marked taxis. Agree on a rate or insist the driver uses a meter before getting into taxis. Avoid political demonstrations and rallies. Bottled water is recommended. Ensure street food is freshly prepared and cooked properly. Avoid dehydration, heat stroke, and sunburn by drinking plenty of water and using sunscreen with a high SPF. Take precautions to avoid mosquito bites, as Penang is at risk for malaria and dengue fever. Proof of yellow fever vaccination is required if you are travelling from a yellow fever endemic area. Vaccinations for MMR, diphtheria-tetanus-pertussis vaccine, chickenpox, polio and flu should be up to date. Vaccinations for Hepatitis A, B and C, typhoid, cholera, meningococcal meningitis, rabies, and Japanese Encephalitis are recommended.